Monday's deadly blast at the St.Petersburg metro was a well-planned crime aimed at challenging the whole country, Russian experts told Sputnik, adding that the perpetrators' efforts will never succeed. 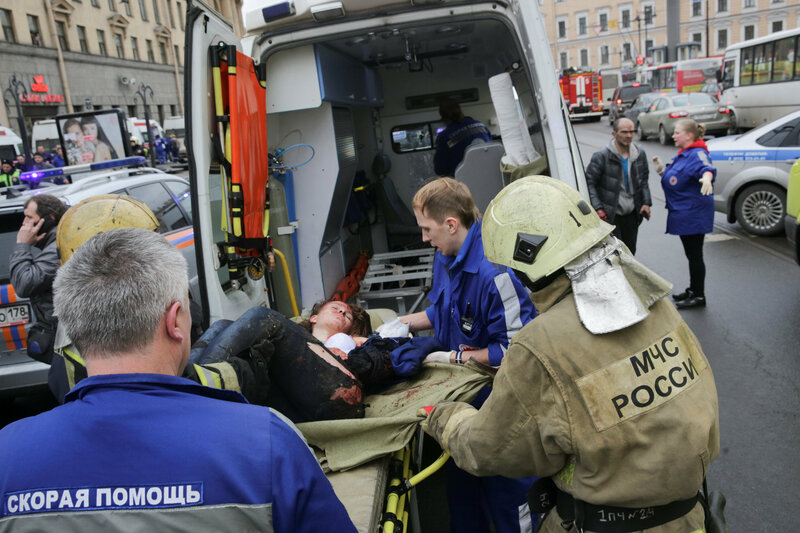 At least 11 people were killed and 51 more injured after a powerful explosion ripped through the St.Petersburg metro on April 3. The Russian Investigative Committee opened an investigation into the blast. In an interview with Sputnik, Sergey Goncharov, President of the International Association of Veterans of the Alpha Group anti-terror unit, suggested that the Monday blast was a well-prepared act which could be preceded by a spate of "distractive moments" aimed at switching the attention of police providing the St. Petersburg metro's security. "I think that this is a fairly well-planned action, but it should be confirmed by those who are investigating the case," he said. Alpha Vice-President Alexey Filatov, for his part, said that to effectively combat terrorism, the state should invest more in developing an undercover intelligence network. According to him, "it is absolutely clear that a terrorist should be tackled amid his preparation for the attack, namely, more efforts are needed to track the 'sleeping terrorist cells'." "For this to happen, it is necessary to allocate more funds for the development of agents' network and technical intelligence, which is much more effective than all other measures aimed at preventing terrorist attacks," he said. Alexander Mikhailov of the Russian Council on Foreign and Defense Policy believes that the explosion could be staged by members of radical Islamic groups or Ukrainian militants, but "it is almost impossible to deal with guesswork without having primary information." "We must understand that Russia is now facing many threats, emanating not only from radical Islam but also Ukraine, which has repeatedly said that it is necessary to carry out terrorist acts on Russian territory. Also, we have a rather tense situation around various nationalist organizations," Mikhailov told Sputnik. He added that it is now impossible to say whether special services kept an eye on the perpetrators of the St.Petersburg metro attack. "We are still in the primary process of assessing the situation," Mikhailov said. He was echoed by Vladimir Dzhabarov, first deputy head of the Russian Upper House's International Affairs Committee, who told Sputnik that he does not rule out that the Daesh (ISIL/ISIS) terrorist group or nationalist extremists from Ukraine could be behind the Monday explosion. "The most alarming thing that no one has yet claimed responsibility for this attack," Dzhabarov pointed out. Joseph Linder, President of the International Counter-Terrorism Training Association, in turn, noted that the authorities and citizens of St. Petersburg "very quickly" reacted to what had happened. 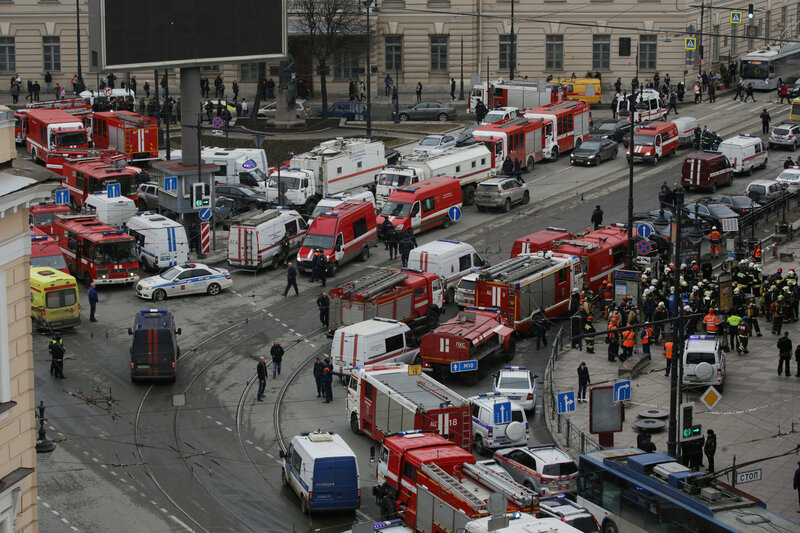 "There is no panic in the city, with emergency medical and rescue services working very well," the expert said, also praising transport work in St.Petersburg. Linder attributed the Monday explosion to Russia's increasing global clout, pertaining, in particular, to the fight against international terrorism. "The stronger Russia acts in the international arena, the more rage certain circles show in response. Our arch-foes seek to create the most uncomfortable social environment for our living, which should be prevented by our law enforcement agencies, special services and administrative bodies," he said, stressing the need to "maximally consolidate the society." Boris Gryzlov, representative of Russia in the Contact Group for Ukrainian Settlement, said in an interview with Sputnik that the Monday explosion is "most likely a premeditated demonstrative act aimed at intimidation." "We will wait for the results of the investigation. However, it is safe to assume already now that the Monday attack was a well-planned premeditated act. These barbarous actions have once again showed that the main goal of terrorists is to fuel mass fear and insecurity, as well as cause public turmoil, he said. Leader of the Just Russia party Sergey Mironov told Sputnik that the organizers of the Monday explosion wanted to challenge Russian President Vladimir Putin and Russia's ability to ensure the safety of its citizens. According to him, "the tragedy proves that Russia must take the most stringent legislative measures to combat terrorism." Dmitry Suslov of the Valdai Discussion Club, for his part, said that the Monday blast indicates the continuing serious threat of international terrorism and can be linked with Russia's participation in the Syrian campaign. "The time and place of this terrorist act is of a political nature," Suslov said, pointing to the fact that the Monday attack took place amid President Putin's visit to St. Petersburg. "It was an outrageous signal that international terrorism will continue to fight and resist Russian actions," Suslov said, adding that radical Islamic terrorist organizations, including Daesh and al-Nusra Front, could be behind the attack. Sergey Zheleznyak, member of the Russian Lower House's Foreign Affairs Committee, called for constant mobilization of Russia's law enforcement system and infrastructure organizations in order to more effectively counter a terrorist threat. According to him, "a thorough investigation should be conducted, and all the perpetrators must be found and punished." "By staging this bloody attack, the terrorists tried to intimidate the society and force our country to change its irreconcilable stance on fighting international terrorism, a goal that was never accomplished," Zheleznyak concluded.